Today’s guest post comes from Joshua Cunnigham, an NCCC Alum and current AmeriCorps member serving in the Town of Farragut, Tennessee serving as a Water Quality Technician. After his service term, he’ll be relocating to Nome, Alaska where he’ll serve at radio station KNOM, where he will be working in news reporting, broadcasting, and music programming. Joshua with his supervisor and fellow NCCC alum, Jason R Scott. Leaving for college was a nerve-wracking experience for me. I had waited my whole adolescent life for departure from required education to an academic haven where I could spread my wings and truly dive into life. Then, I was asked to declare a major. I panicked! It was as though all of the times when I was asked “what do you want to do when you grow up?” by well-meaning adults smacked me right in the face and left me with birds chirping and circling over my head like you see in cartoons. I must admit that I am surprised by the paths the ‘just pick one’ method have opened up before my eyes. Just a few months ago, I was chasing my fire retardant clad colleagues up a mountain side as a retreat order had been called by my Fire Battalion Chief. Though this retreat was just “as planned” and no more life-threatening than an elementary school fire drill, a touch of panic started to grow inside of me, as a very logical part of my brain sprouted a reminder that I went to school to learn how to properly make ‘crepes’, not lug eighty pounds of equipment up, what seemed to be a ninety degree angle of large rocks and swaying trees. Then, miraculously, I teleported to the top of the ridge to the marked “safety zone,” at least, I assume that I teleported. All I know is that somehow I made it to the top, chainsaw in hand and heart steadily contained, but erratically beating, within my chest. It was at that moment of post-chaos relief that I realized that I could have any adventure I wanted without sacrificing any crepe making ability. That sense of empowerment meant so much more to me than I can describe. It was more than just a release from the shackles of my college major – it was a license to serve. Eventually that license became the most transformative philosophical tool that I have incorporated into my life thus far. The idea that I have the power to not only serve myself, but also the power to benefit the communities in which I live and work has developed addictive properties since ingestion and I do not mind feeding that addiction in the least. With his NCCC team, Silver 5, at Yosemite National Park. I was weak in the knees while waiting to depart to California for my AmeriCorps NCCC adventure. The thought of flying to a part of the country I had never been to before, to do a type of work I had no background in, alongside people I had never met, was at the moment of departure, overwhelming! From the moment I got on that plane, to the moment I was flying in the opposite direction to return from my service year, I don’t think those overpowering feelings ever stopped. Those feelings became less about the question marks of my service experience and more about the abundance of good memories, new friends, enlightening life experiences, and the ever present opportunities to truly make a difference in the world. To put it simply, I became overwhelmed by the positive experience my commitment to national service was bringing into my life. My NCCC experience was a direct lead into one of the best experiences of my professional life. I currently am the premier AmeriCorps member for the Town of Farragut, Tennessee serving as a Water Quality Technician. Not only did the experiences I had in environmental work prepare me for a service position like this, but my supervisor, also a NCCC alum, understood the level of flexibility, communication, and dedication that NCCC graduates leave the program with. In my time here, I have developed environmental initiatives, won valuable environmental grants, made a quantifiable impact on water quality in this community, and have had innumerable meaningful, whimsical experiences along the way. The key word being: whimsical. Joshua serving as a Water Quality Technician. 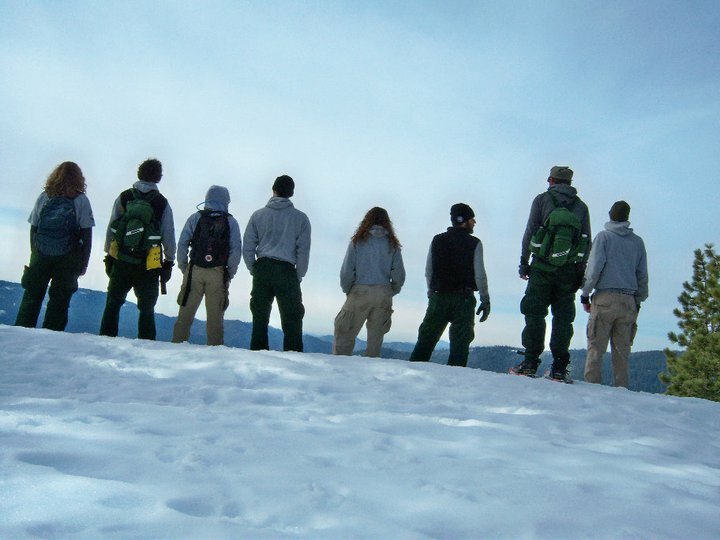 AmeriCorps has led me to amazing places, to meet extraordinary people and do incredible things! Though my service year is coming to a close next month, I can still see the signs that my service work is leading my life towards new adventures. The work I have done in communications this past service year has led me to serve radio station KNOM in Nome, Alaska, where I will be working in news reporting, broadcasting, and music programming. To say that I am stoked is an understatement. To be able to live out multiple dream jobs in succession fills me with gratitude – and I owe it all to my AmeriCorps experience. Superbly written Josh. Never fail to impress with your articulation of service. Very well said, Josh. You’ve been an inspiration to all of us this year, and we’re really going to miss you. I’m betting you’ll be great in anything you choose to do – hey, even making crepes if you want.